This poor kitten was despeartly needing help but noticed him until rescuers went to rescue a dog and found the poor thing just begging for someone to help. The poor kitten looked terrible at first and had badly infected skin and eyes. The poor kitten was then stuck in a kill shelter, but then someone came to his aid and saved him. 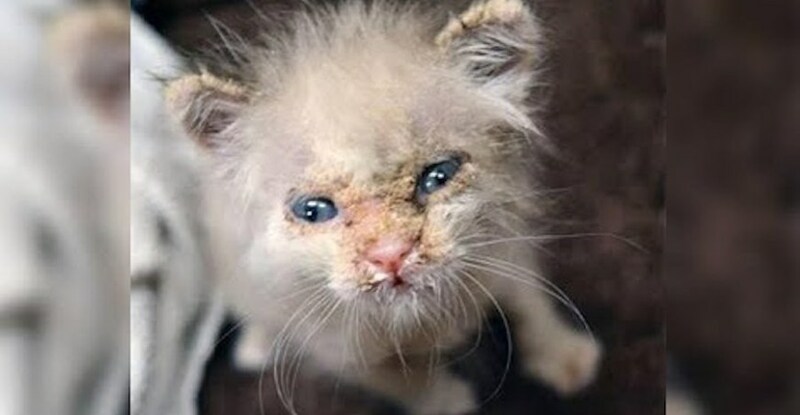 After help and love this amazing kitten turned into a living miracle of beauty – now his fur is just beautiful and no more mange! It’s amazing the transformation after sadness turnes into beauty!